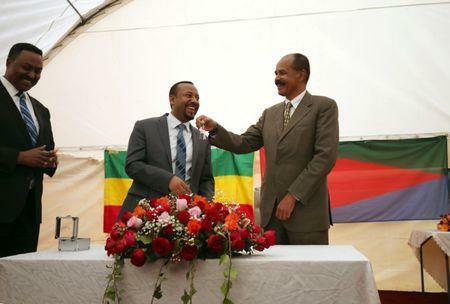 ADDIS ABABA (Reuters) - Eritrea has blocked entry for Ethiopians at one of the border crossings that opened this year after the neighbours ended a long military standoff and restored relations, an Ethiopian official and people who live near the crossing said on Friday. Liya Kassa, spokeswoman for the regional administration in the Tigray region which borders Eritrea, said Ethiopian citizens and Ethiopia-licensed vehicles travelling to Eritrea from the Ethiopian town of Rama were asked for "permits" on Wednesday. Those using a crossing in Zalambessa were asked the same on Thursday, she said. "The restrictions have only been imposed on the Eritrean side," she said. "We did not receive any prior notice." It was not clear why Ethiopians were being prevented from entering at the Zalambessa crossing, which was shut on Thursday morning and remained closed on Friday, said Solomon Desta, a minibus driver on the Ethiopian side, speaking by phone. A spokesman for Ethiopia's Foreign Ministry told reporters on Thursday that he had no information about any border restrictions. 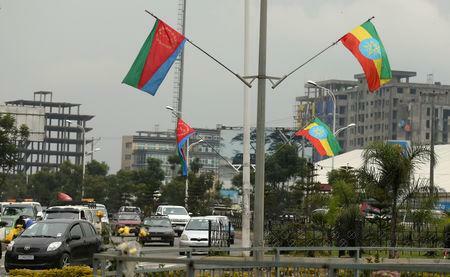 Eritrea's information minister, Yemane Ghebremeskel, did not respond to phone calls on Friday. Tsegaye Kassaye, a tyre fixer on the Ethiopian side of the frontier, said by phone that Eritreans were being permitted to enter Eritrea, and Ethiopians were being allowed to leave.